This module allows you to create quotations quickly and accurately. 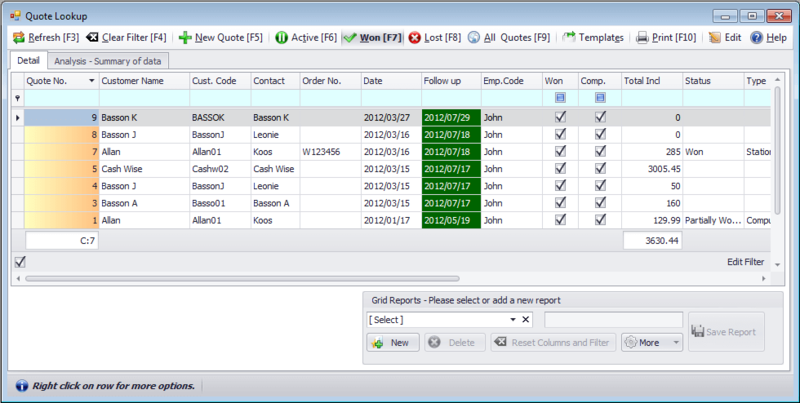 Quotations can be converted into a job card, pro forma invoice, tax invoice or sales orders. Previous quotations can be used to produce similar quotations to save time and reduce errors.